There’s a good chance every house in your neighborhood is outfitted with a shingles roof. Mainly because 75% of all houses in North America opt for this popular type of install. But before you decide to follow the crowd, dig a little deeper and find out more about this material. Here are the top 65 facts about asphalt shingles you should know, before you buy. 1. When it comes to composition, there are two different varieties: fiberglass and organic. – a top layer of ceramic granules, which protect from damaging UV rays. Because of the presence of fiberglass, less asphalt is needed in the manufacturing process. 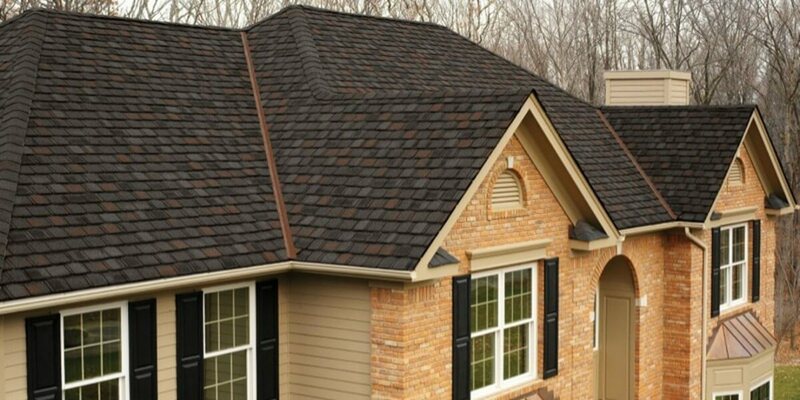 As a result, you have a more light-weight, fire resistant and durable shingle. Today, 90% of all asphalt roofs sold in the US, are fiberglass shingles. Organic shingles: These are manufactured from recycled layers of felt paper, saturated in asphalt. They are then coated with adhesive asphalt along with embedded ceramic granules for extra protection. 40% more asphalt goes into the manufacturing of organic varieties than fiberglass ones. This means they are heavier, more costly and more harmful to the environment. Additionally, they don’t last very long, and are now nearly extinct. 3-tab shingles – also known as ‘strip’. These are made of a single piece (layer) of material, and have two-cut outs on the exposed surface. Consequently, you get a three-tab, slate-like look. Laminate shingles – also known as “architectural”. They contain a second set of shingles on top of the first one to create the perception of 3D, while also adding more resistance. Architectural products are considered to be the best shingles for residential roofs, and homeowners buy these most frequently. They also come in premium varieties, and many lines resemble wood shake and heavy slate. Large – form shingles – either rectangular or horizontal, and with no tabs or cutouts. 4.Shingles are sold in bundles. Typically 3 bundles cover 100 sq.ft. (1 square) of area. The weight of a bundle of shingles is 50 to 65 lbs per bundle for three-tabs, and 65 to 80 lbs for architecturals. 3 tab shingles usually cost about $25-30 per bundle, or $75-90 per square. Laminated shingles are around $28-32 per bundle, or $84-96 per square for standard weight products (not premium). Premium laminated varieties run about $45 or more per bundle. 5. In addition, you will also need the following parts: underlayment (felt or synthetic), drip edge, ice and water barrier, ridge cap, ventilation and nails. On average, 100 sq.ft. of a complete system will cost $125-150 per square for materials only. 6. An average residential roof in the US is 1600 sq. ft. (16 squares). A DIY roof replacement cost will be about $2,000-2,400. 7. If you hire a contractor, the same project (1600 sq. ft.) will cost you anywhere from $4000 on a low end to $6400. These numbers are equal to $250-400 per square installed. This includes: 1 layer tear off, installation of standard laminated or three tab shingles on a one storie ranch or cape house. This range covers such variables as: your geographic location, contractor you hire, ease of access, job complexity, etc. 8. Most homeowners wonder how long is a roof good for? Typically, the least expensive system will be the most prone to damage from sun exposure, temperature changes, high winds, and storms. It may show damage 5-6 years or less after installation. It will also last the shortest amount of time, on average 10-12 years. 9. In general, shingle granules are applied to protect the product from sunlight, UV rays, and weather. When these granules start to wear off, the aging process speeds up and leaks are more likely to occur. 10. Granule loss can happen from a number of things: normal wear and tear, severe weather, such as hail storms, being walked on, mechanical damage, blistering, or from a manufacturing defec. Other factors affecting how long shingles last are: moss growth, lack of ventilation, and ice dams. 11. If your house is located in an area with hot temperatures and mostly sunny days, it is best to install a lighter color material. Its more resistant to heat absorption, UV damage, and curing (shingle drying out from heat and becoming brittle). 12. If you live in a hot and humid climate, the roof can be damaged by algae and fungal growth. To prevent this, consider installing special algae resistant products, which have about 10 % of granules coated with leachable copper to help protect from discoloration, algae and moss growth. 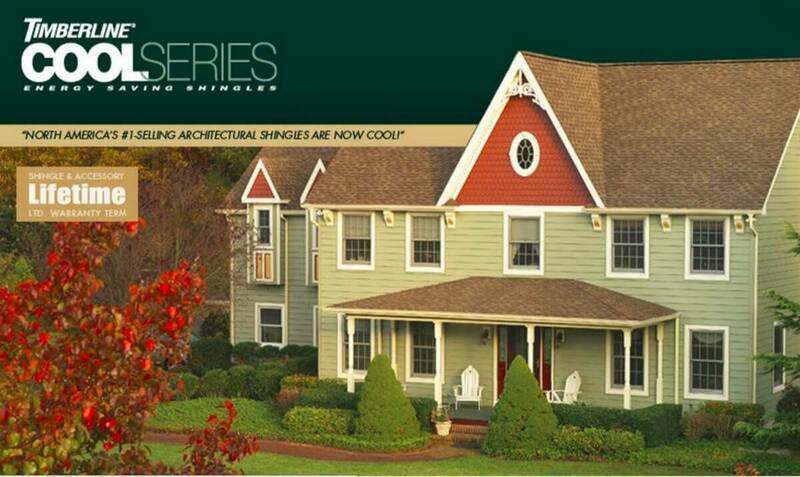 Atlas offers a newly formulated Algae Resistant Shingles, with a Lifetime Warranty. 13. Most materials get damaged by hail and require replacement under home insurance coverage. However, some manufacturers (namely Malarkey) produce premium class 4 shingles capable of withstanding Class IV hail storm (2 inch diameter). These Class 4 shingles are in some respects comparable to concrete tile or metal, as far as durability. 14. 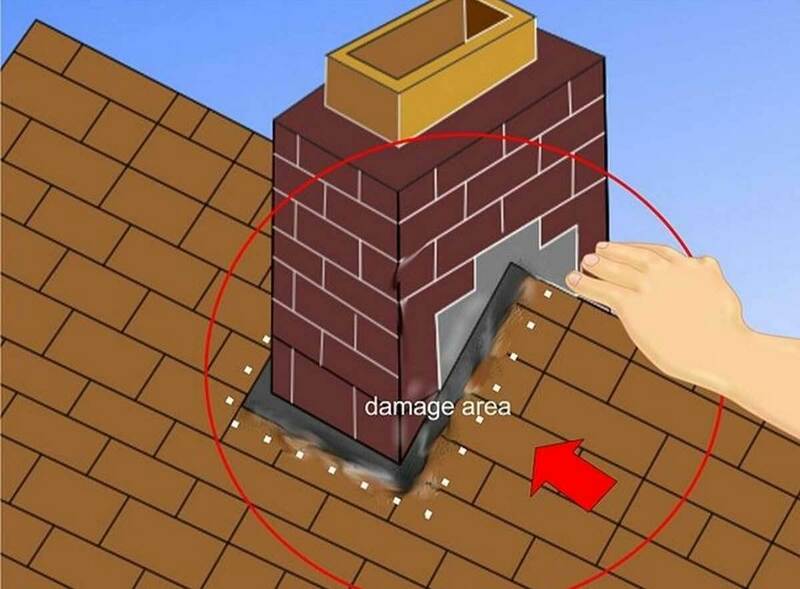 All types of shingles last longer with proper ventilation. 15. 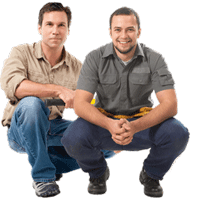 Systems that are installed without proper ventilation will immediately loose their warranty. 16. The most common and effective type of ventilation today is Ridge/Soffit vent combo. Soffit or eave vents are for the intake of fresh air, and ridge vent is for exhaust. A properly designed ventilation system should allow more air to enter than to escape. 17. Other, less efficient venting systems include gable vents, static box and electric powered vents. 18. 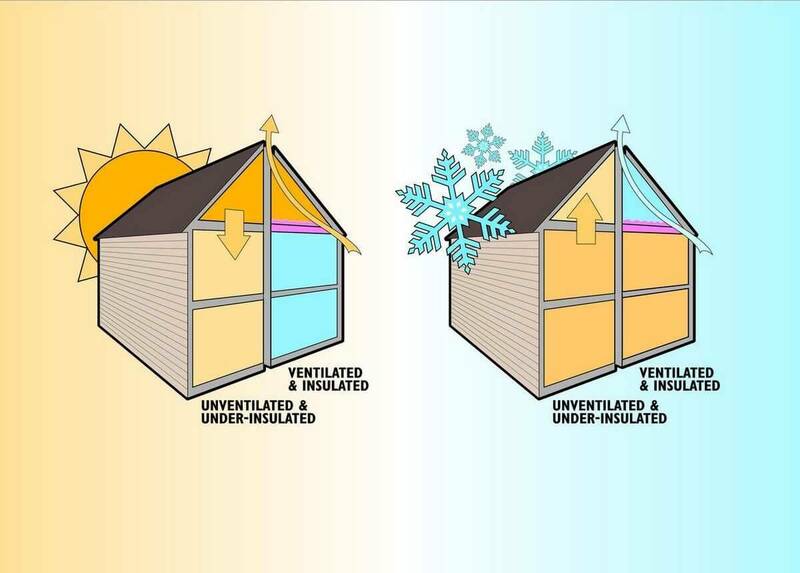 Different types of ventilation should never be combined on the same roof. This is because different ventilations create a short-circuit affect, when hot air circles around the attic space, but never leaves from the exhaust, thereby nullifying your ventilation. 19. If you have attic insulation installed, make sure it does not block soffit air intakes. Otherwise, your ventilation will not work. 20. Asphalt shingles are marketed with anywhere from 20-year to 50-year warranty. Lately, most manufacturers have adapted a new gimmick where they label former Laminated 30 year shingles, as “Lifetime”. If you read the warranty, “Lifetime” is only the name, and actual coverage is actually somewhere between 10-15 years. 21. A 30 year product warranty DOES NOT mean it will last that long, as climates and weather conditions are different around the country. Often times, these warranties are prorated and only cover a fraction of the costs, the older they get. 22. The materials and the install itself come with a number of different warranties. For example, there is a manufacturer’s warranty that covers defects in the material itself, often ranging between 20 years to a lifetime. In reality, the coverage rarely exceeds 10-15 years, and you should carefully read the documents before purchasing any particular brand. 24. Asphalt shingles are considered one of the least energy efficient materials. This is because they absorb a lot of heat from the sun, thereby raising the temperature in the attic. Duration Premium by Owens Corning. 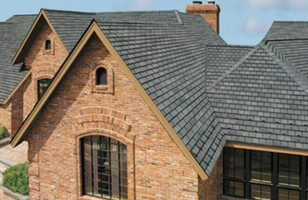 Timberline Cool Series by GAF. 26. All of the above roofs include “cool” solar reflective pigmentation. They are more energy efficient than non “cool” products of the same color. 27. Although such a roof is more reflective, it still stores a lot of thermal energy. So even after the sun goes down, your attic space will not be completely cool. 28. If energy efficiency is one of your main concerns, you should consider a metal option. 29. Most leaks occur in valleys, near skylights, chimneys, side walls and other penetrations (except for ice dam leaks, which happen at the edge). 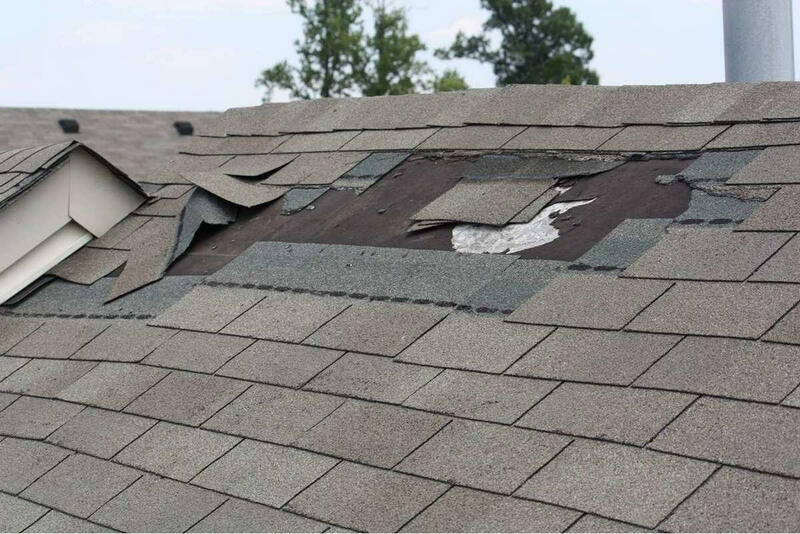 Therefore, special care should be taken when installing flashing around penetrations, and when roofing a valley. 30. When hiring a contractor, ask him to show you examples of their flashing work. Make sure they do not reuse old step and lead flashing, as those get damaged and are usually none-functional by the time the roof has to be replaced. 31. One of the reasons for asphalt shingles’ stable popularity is that they can be installed on almost any architectural style. Mansard, Gambrel, Saltbox, Gabled, and Hip structures are all perfect candidates for this application. Asphalt roofing is also a popular choice for a shed, garage, and other outbuildings. 32. Shingles should be applied over a continuous deck, consisting of minimum 15/32” plywood or OSB. 33. They can be installed over existing shingles (or wood shakes) to save time, money, and landfill space. It’s generally recommended not to go more than 2 layers deep and special water protection (waterproof shingle underlayment, special drip edge, etc.) must be put in place. Keep in mind, that if you install them as a second layer, you will most likely loose your warranty. 34. NRCA recommends galvanized steel or the equivalent corrosion resistant nails for fastening. 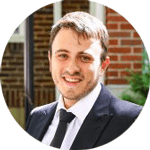 Building code requirements and manufacturer recommendations should also be taken into account. 35. Standard recommendation is 4 nails per shingle, or 6 nails in high wind areas. 36. Each shingle has its own line on which nails should be placed. Nailing too high allows exposure to wind lift. Going too low leaves the nails visible and exposed to the weather. Nailing through the sealant strip can affect the water dispersal. 37. 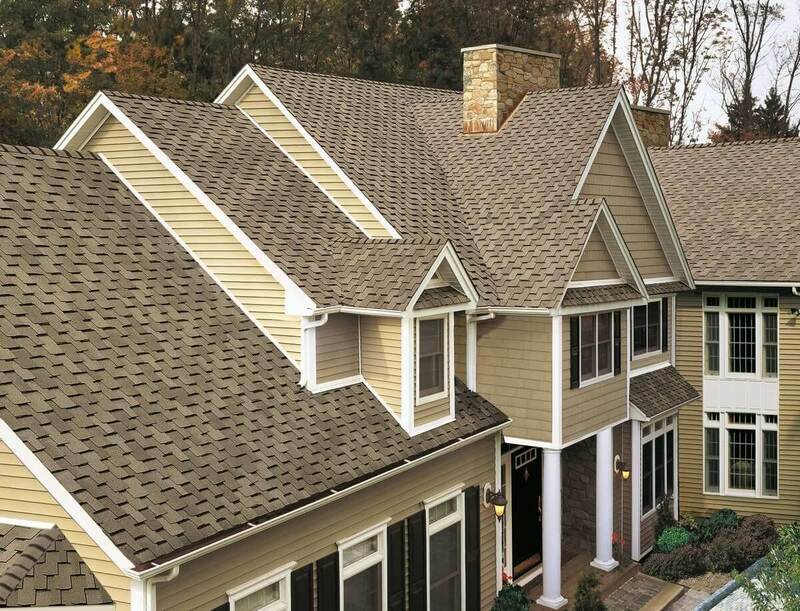 Several manufacturers, namely IKO and Owens Corning, have recently released a new roof shingle line that includes a fabric reinforced nailing strip. It increases standard wind uplift rating from 70 mph to 110 mph. (this is the same as metal). 38. Flashings should be made of an anti-corrosion metal that is at least 0.019” thick. 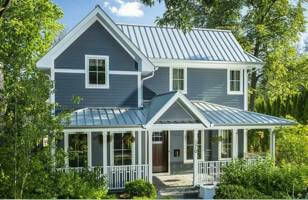 Usually, aluminum is used for all step flashing around chimneys, side walls, skylights, etc. 39. Valleys should always receive a 24″ wide ice and water barrier installed in the entire length of the valley. 40. To maintain your warranty, the minimum pitch for asphalt shingles should be NOT less than 3 in 12 (18°). This is because the product relies on gravity and slope for water shedding. 41. They should never be installed on flat roofs, because they are a water shedding system. On flat roofs, water does not have a natural slope to disperse from. 42. In northern climates, you should NOT install shingles on low slopes (between 1-3 pitch), because they will be highly susceptible to ice dams. 43. They CAN be installed on low slopes, but only as an aesthetic improvement. They are typically laid over a waterproof membrane or heavily laminated between every shingle (not recommended.) If you must use them, we strongly suggest three-tab products only. Do not install laminated ones, because 3-tabs are much better at water shedding on a low slope. 44. On slopes greater than 21:12 (mansard), shingles should be nailed 6 times and manually sealed with roofing cement. 45. Pitch is also important when determining the type of underlayment to use. A #15 asphalt-saturated (15 lb felt) underlayment is the minimum requirement for slopes 18° and greater. For less pitch than that, double coverage 15 lb felt or one 30 lb felt underlayment should be used for extra protection against water pooling. 46. Based on our experience in the field, using a breathing synthetic underlayment is a much better solution and longer lasting solution. It is also the best at preventing ice dams. – Protect the deck from rain before the install is completed. – Create an extra weather barrier for blow-offs or leaks. 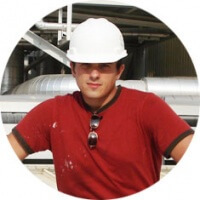 – Protect roofing from any resin exposure from the sheathing. – Prevent uneven spots from showing through on the surface. – Often required for UL fire rating to apply, since shingles are tested with underlayment. – Required by most building codes in the US and Canada. 48. House shingles can be installed in any temperature as long as the contractor is willing to do the job. 40° to 85°F is the agreed ideal installation range. 49. In extreme cold, they can become brittle and the self-sealing adhesive will not bond. 50. In extreme heat, they become damaged, when walking across and the tar adhesive sticks to almost everything. 51. Generally, ice melting pellets are not substantially harmful. However, staining may occur once the sodium chloride residue washes away. As an alternative, you can opt for magnesium chloride or calcium pellets. 52. It is best to avoid using ice picks or shovel edges to remove snow and ice dams, as they will damage the brittle shingles and often will void your insurance coverage. 53. In the northern climate, you should install none-granular ice and water barrier along all eaves and valleys. On the eaves, you should install at least two rows of ice and water barrier to make sure that coverage extends at least 3 feet beyond the exterior wall of the house, to minimize damage from ice dams. 54. 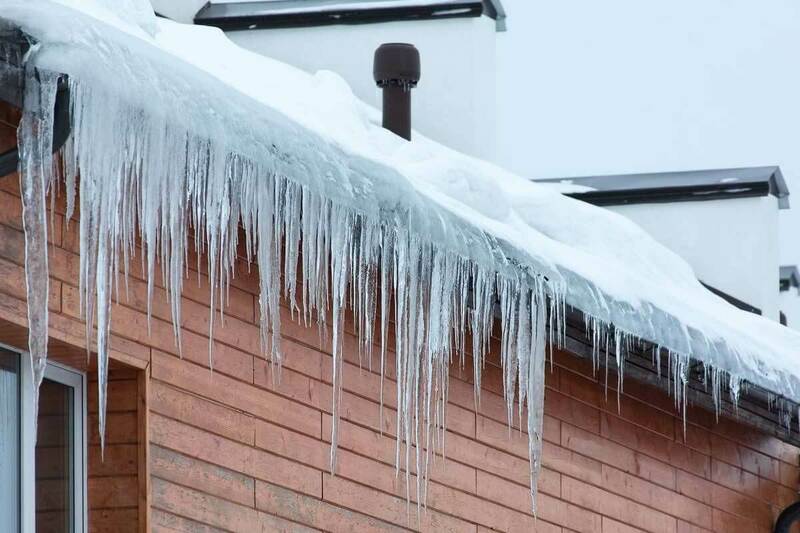 It is also recommended to use ice belt metal pallets along the eaves in the northern climates, to prevent ice dams. 55. Initially being mistaken as mold or mildew, the black discoloration that occurs on asphalt roof shingles is actually the presence of algae. It formed because moisture was persistently present in the area. 56. Maintenance for removing algae involves a 50/50 mix of bleach and water – spraying the solution and letting it sit, before hosing off with water. 57. 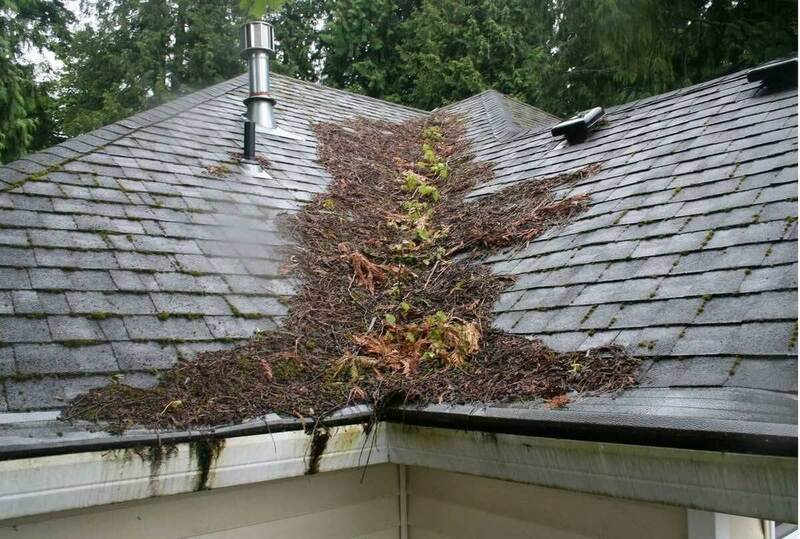 Preventative maintenance for discouraging algae growth includes trimming tree branches to allow sunlight, removing debris regularly with a leaf blower, and making sure gutters are cleaned out, so rainwater drains. 58. Maintenance also involves a regular inspection of the area to look for curled or missing pieces and also any flashing that may have come loose or ripped out. It’s also wise to inspect any caulking to make sure it hasn’t rotted or been ripped away. 59. An estimated 11 million tons (22 billion lbs) of waste is produced annually in the U.S, due to tear-off and replacement of shingles. 60. Every ton that is recycled saves the equivalent of 1 barrel of oil from going to a landfill. 61. 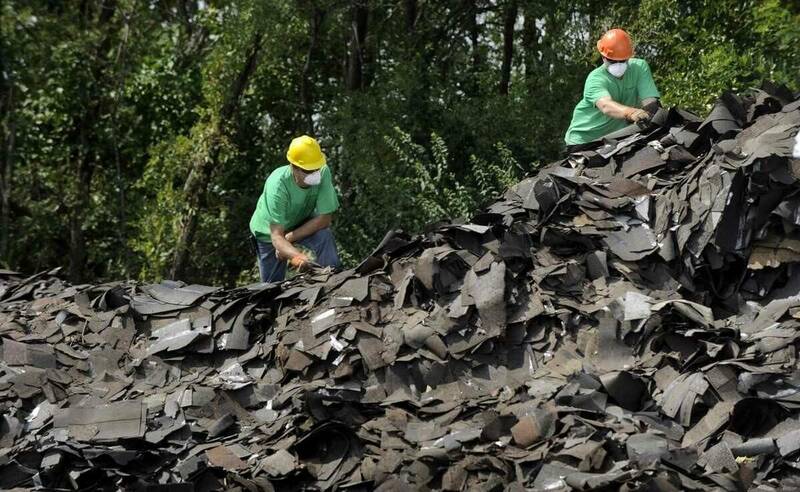 An average roof replacement results in 1-3 tons of old product that is commonly disposed of in a landfill. 62. The price of disposal in a landfill, depending on the state, is roughly $35-50 per ton. In some states, in the Northeast, the rate is as high as $110 per ton. 63. Asphalt recycling plants charge as little as $18 per ton. 64. Having been made from refined petroleum, they should not be burned because of harmful emissions. 65. In some states, recycled asphalt shingles are used in “Roof-to-Road” Programs, to make street and highway pavement. They are also used for paving private roads, parking lots, or for patch work. While shingles may not be the material of choice if you are planning to stay in your home for over 5 years, they may be an ideal solution if you planning to sell your house soon. According to Remodeling Magazine, a new roof can increase your home’s resale value by about $12,000 (national average). This makes it an important update to consider implementing, especially if your home has an older roof. Buyers will greatly appreciate the improved curb appeal, as well as the prospect of not having to worry about leaks. Asphalt Shingles Calculator – this tool will estimate the price and amount of materials as well as all required accessories for your roof replacement. Timberline vs Landmark shingles – an in depth comparison guide to the two best architectural shingles. GAF vs. CertainTeed – detailed comparison between warranties for two top shingle manufacturers. No real mention of Class IV shingles and the discount that most insurance companies give homeowners living in high wind and hail regions. Also, no mention of IBHS’ Fortified program to make roof structures more wind and water resistant by nailing the roof deck with 3″ ring-shank nails on 6″ centers, sealing the roof deck and using Class IV shingles. Huh?? Think you meant “not” 42. In northern climates, you should install shingles on low slope roofs (between 1-3 roof pitch), because they will be highly susceptible to ice dams. It’s about time for me to install a new roof on my house. I had no idea that shingles were just for sloped roofs. I also didn’t know that shingles weren’t energy efficient. Would it be better to get a metal roof? I never realized that the U.S. throws away so much asphalt every year. It is really good that some states have a program that recycles the materials and uses them to build roads and parking lots! The next time my roof needs to be re-shingled, I will check to see if I live in one of these states, so that I can recycle as well.